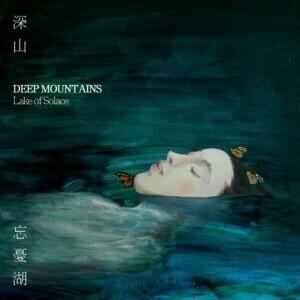 Deep Mountains is an interesting black metal band from Tai’an, Shandong province in the People’s Republic of China, because this quartet almost has nothing to do with metal music whatsoever. The three men and one woman mostly play laid back acoustic neofolk that evokes strong feelings and relates a lot to nature in general. Fans of bands such as Dornenreich, Empyrium, Opeth, or Ulver should dig this kind of music. Many songs are harmonious and make you feel at peace with the world. The mysterious and sacred “Intro”, and the laid back, optimistic acoustic guitar-driven last track “Li Fenghua”, where one even hears the band members chatting and laughing from time to time, really closes the circle on this release for me. Other songs are more desperate and nihilistic, and can include occasional black metal shrieks and noisy guitar walls. An interesting example is the epic “Detachment”, which includes a few English vocal samples taken from a movie. They describe the desperate situation of women in relation to abuse at work, as well as excessive beauty ideals suggested by the media that don’t harmonize at all with the band’s almost Rousseau-esque vision of Mother Earth. Some tracks, like the majestic “Sin”, include both elements. Beautiful acoustic guitar harmonies and mysteriously whispered vocals meet more plodding and noisy riffs, along with impressive emotional vocal outbursts. The title song “Lake Of Solace”, in two parts, has a similar tone that also recalls the band’s highly commendable Chinese colleagues from Esthète Sinistre. There are more and more profound black metal bands coming from this country as time goes on. The standout track on this release is definitely the harmonious “Ballad Of River Nai”. It features nature sound samples such as water falling, which make the track feel really authentic. These field recordings are combined with acoustic guitar work which is simple, yet liberating. The short song is crowned by traditional female vocals that recall ancient Chinese mores that I happen to admire very much. For me, this song is a nostalgic piece of magic, and has nothing to do with modern music whatsoever. To conclude, Lake Of Solace is a profound, nature-bound, and emotional soundtrack to plunge into. It’s the kind of sophisticated, yet pure grower that evokes numerous images in your mind. It’s an album you should experience when you’re walking alone through autumnal landscapes. Neofolk and post-black metal fans should definitely try this album out, as I haven’t discovered a better genre release this year so far. Visit the band’s Douban site to discover this little masterpiece for free.